Recently, I had the privilege of attending the AWMAI (Association of Women Martial Art Instructors) conference. This conference stood out from other conferences I've attended in the past for a couple of reason; not only was it a conference geared for instructors, it was held while cruising the Bahamas. We headed out of the Port of Miami on Monday, January 4. That night, there was a welcoming session for the conference attendees as well as a panel discussion, which touched on topics like the challenges of teaching Martial Arts in a recession economy, dealing with difficult students, and how to take your martial arts into the world. Following the discussion, we had a free evening to mingle around the cruise deck. Tuesday started off with a BLISS workout, which involves lightly pulsing your muscles to increase flexibility and strength. The seminar was conducted by Jamie Zimron who holds a 5th degree black belt in Aikido and is a LPGA golf coach. The next session was on coaching your students to become winning tournament kickers, led by Arlene Limas, a gold medalist in Taekwondo. She gave good pointers on how to make your kicks more effective. Following the session, we had several hours to explore the island of Nassau. 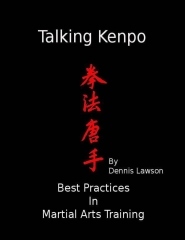 When we returned from our island adventures, we had a seminar on Martial Arts Pedagogy which discussed effective ideas on presenting a martial arts class. The Pedagogy class was led by Kerry Kilburn. The evening finished with Elements of Push Hands led by Debbie Leung. The next morning started off with a blindfold workout, focusing on breathing and using your sense of touch instead of relying on your sight to defend yourself. Following the exciting blindfold workout, we had a skills exchange, where everyone shared a teaching idea, or defense technique from their art. The afternoon was supposed to be devoted to spending time on Coco Cay island, but due to the COLD (55F) weather and high waves (6-7 feet high! ), we weren't allowed to depart from the ship. The cruise line did a wonderful job of supplying a wide variety of entertainment to suit everyone. After the break, Arlene Limas instructed us on how to create an awesome children's program. We ended the evening by learning healing massage techniques led by Janice Okamoto. Of course, we had to practice our newly learned skills on each other! The final day of conferences started off with a invigorating Liangong morning workout lead by Debbie Leung. Afterwards, Debbie instructed us on some Qigong techniques. We were energized when we headed out to Key West for afternoon exploration. The evening concluded with various artists presenting forms from their style. Some of the participants told their stories of visits to various countries to promote peace through martial arts. We were all inspired to hear their experiences of Israel and Kenya, martial arts training bringing diverse groups together, and helping the less fortunate. I really enjoyed the conference and would highly recommend it to any female martial arts instructor. I found training beneficial and made life-long contacts and friends. It was stirring to hear and learn how others are affecting the lives of not only those in their community, but world wide. I'm looking forward to attending the conference again next year.